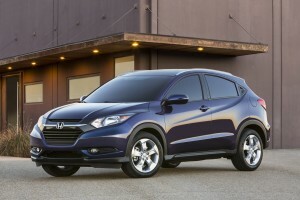 The new Honda HR-V is – technically – a subcompact. 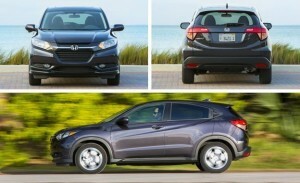 A notch down in size from the compact-sized CR-V (which Honda sells a bunch of). But the difference between the two is mostly footprint-wise. 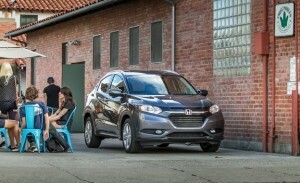 The newest littlest Honda crossover is about a foot shorter overall than the CR-V. 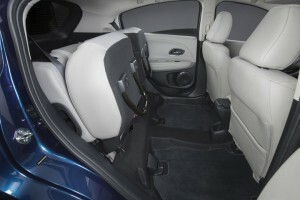 Inside, though, the subcompact HR-V actually has more backseat legroom than its, er, bigger brother,. Almost identical space up front, too. It has a bit less cargo room – but the difference isn’t huge (about 11 cubic feet) and if you can live with that, you can get the same basic concept that has made the CR-V such a success in a much easier-to-park – and easier on your wallet – package. The HR-V is a downsized interpretation of the popular CR-V; similar in concept, layout and features – just a lot smaller on the outside while managing to be nearly the same size on the inside. 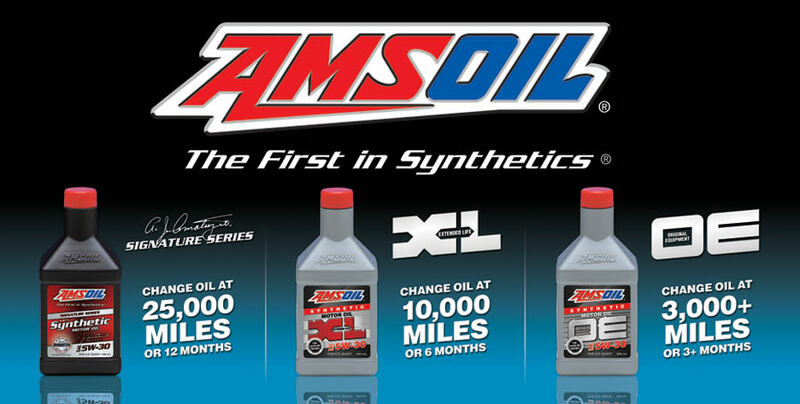 It stickers for $19,115 to start for a FWD LX with six-speed manual transmission. Upgrading to all-wheel-drive (and a CVT automatic, mandatory with AWD) brings the price up to $21,165. EX and EX-L Navi trims are also available, with the most expensive HR-V being an EX-L with navigation, AWD and CVT automatic. MSRP for this version is $25,840. Nominally, the HR-V competes with other subcompact crossover SUVs like the new Fiat 500X, the Mazda CX-3 and the Chevy Trax – but it is the only model in this class that offers almost-mid-sized-interior space in a subcompact-sized body. The HR-V is a new model for Honda, built to offer buyers something a bit less large (and less expensive) than the CR-V that’s also more space-efficient than direct competitors like the Fiat 500X, Mazda CX-3 and Chevy Trax. As roomy in first and second rows as larger (even mid-sized) crossover SUVs. Class-leading cargo space. And not by a little bit, either. Sharp steering; ultra-smooth CVT automatic (manual available, too). The deal of the bunch – especially the AWD version. Manual transmission not available with AWD. Stylish interior (especially center console) sacrifices function to form when it comes to finding places to put smaller items. Storage cubbies are preposterously small/narrow/shallow. The HR-V is propelled by a 1.8 liter, 141 hp four-cylinder engine that can be paired with either a six-speed manual transmission or a continuously variable (CVT) automatic. The manual is available in both the LX and the mid-trim EX versions of the HR-V. Several rivals don’t offer a manual at all (Mazda CX-3, Chevy Trax). Or they only offer it in the base trim (Fiat 500X). The CR-V is automatic-only, regardless of trim. On the downside – and like the Fiat 500X – the HR-V’s manual six-speed is not available paired with all-wheel-drive. If you want the AWD, you have to buy the automatic. 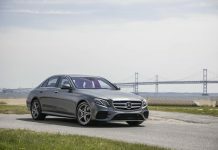 Probably, this is so because AWD adds a little weight – and rolling resistance – to the package, which causes the vehicle to use a bit more fuel. This is counteracted to some degree by the automatic, which is more efficient than the manual. 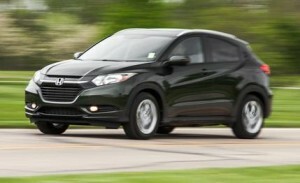 Note that the AWD/CVT-equipped HR-V gets 27 city vs. 25 for the FWD/manual version. The FWD/CVT version does even better – 28 city, 35 highway (vs. 25 city/34 highway with the six-speed manual). If it doesn’t seem like that big difference, you’re right – It’s not. On an individual consumer level. But Honda has to reckon with fleet average fuel economy numbers. A difference of 2-3 MPG per car factored over tens of thousands of cars can dramatically affect the brand’s overall fleet average. 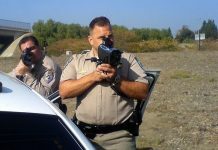 All car companies have no choice but to be conscious of this and build (and sell) their vehicles accordingly – else get hit with “gas guzzler” fines that must be passed on to buyers, with the expected not-good effect on sales. Given this, it’s a little surprising that Honda didn’t think to offer the high-mileage HF package that’s available in the current Civic – which shares the same basic engine (and the same transmissions, too). 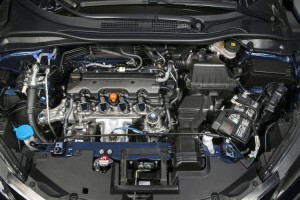 The HF Civic sedan is capable of 31 city and 41 highway. Imagine that in the HR-V, which is after all an SUV. Or, how about an Si package? None of the models in this class are particularly speedy – but the Honda manages to not come in last. That “honor” falls to the Chevy Trax, which needs about 10 long seconds to get to 60 – vs. low nines for the HR-V.
An important note – in the Honda’s favor: It takes regular unleaded gas. The Fiat 500X (which comes standard with a heavily turbocharged 1.4 liter four cylinder engine) requires premium. If you’d prefer not to pay 20-30 cents extra per gallon for fuel – and want to drive the Fiat – you’ll need to upgrade to the optional 2.4 liter engine, which bulks up the price (and requires the automatic transmission). 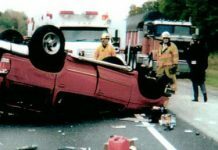 Either pay ExxonMobil – or Fiat. The Mazda CX-3’s standard 2.0 liter engine is a regular fuel engine. But if you want a manual transmission, you’re out of luck. On the upside, the CX-3’s mileage is superb: 29 city, 35 highway. It worked out that I got to test drive the HR-V immediately after spending a week in one of its main rivals, the ’16 Fiat 500X (review here). The differences between the two were immediately obvious. On paper, the Fiat’s got a lot more power – as much as 180 hp with its optional 2.4 liter engine. But it’s only marginally quicker (about half a second’s difference separates the two) and the Fiat feels like its working harder to get you there because of the clunky shifting characteristics of its mandatory (with the 2.4 liter, 180 hp engine) nine-speed automatic – which I recommend you avoid. Whether because of its programming or because it has so many gears, it shifts abruptly, frequently. The Honda’s CVT is Harvey Dent to the Fiat’s Two-Face. 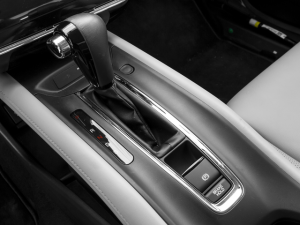 Being a CVT, it does not shift at all – unless you want to engage the “manual” function, which changes the programming to mimic up and down-shifting, the action controlled by the driver via steering wheel-mounted paddle shifters. But these are seamless – shockless – transitions. Engine RPM rises – and falls – but your coffee never spills. You can literally mash the accelerator pedal to the floor and hold it there all the way to 100 MPH with an open-lidded Starbucks Tall in your hand and not risk a mess. Do not try this in the Fiat. High-speed handling is another HR-V plus. It corners flatter, with less body roll – and the steering is micrometer precise. Hondas (and Acuras, which are the same thing only more expensive) are known for this as much as they are for their rev-happy VTEC engines – and the combo makes the HR-V a fun driver, with more verve than you’d expect from only 141 hp. The Fiat looks like it’d be more fun – but (as much as I hate to say it, because I want to like the car) it’s not. The awful nine-speed automatic does to it what a spoonful of mouse turds does to a gallon of otherwise delicious ice cream. That leaves the Chevy Trax – which is a very nice toaster – and the Mazda CX-3, which is beautiful, but automatic-only and not nearly as practical as the Honda. Let’s get into that now. The genius of the HR-V is that it’s very small on the outside – like the others in this class – but much roomier on the inside than the others in this class . How much more so? Let’s start with the second row, where you’ll find almost 40 inches of legroom (39.3 to be exact about it). For a subcompact, that is a lot of room. More room, in fact, than in the CR-V, which is – nominally – an almost mid-sized crossover SUV, in terms of its exterior dimensions. But it’s got just 38.3 inches of second row legroom – not much for such a big-on-the-outside ride. And check the HR-V’s numbers vs. its same-sized rivals. 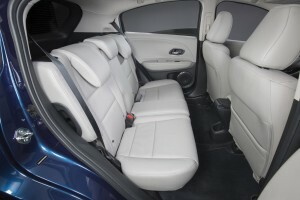 In the 500X, you’ll find just 34.8 inches of legroom (no need to get a vasectomy, guys; sterilize yourself for free by riding in the back seat of the Fiat). The CX-3 also comes up short. Just 35 inches back there – 4.3 inches less than in the virtually same-size-on-the-outside Mazda (169.1inches vs. 168.3 inches, respectively). The Chevy Trax isn’t much better (35.7 inches). Now, you’d assume that something’s got to give. The Honda’s got to have less cargo room… right? With the second row seats in place, there’s 24.3 cubic feet of cargos space behind them. And if you fold them down, there’s just shy of 60 cubic feet (58.8 to be exact) which is almost boggling considering the outside size of this vehicle. Again, for some sense of proportion, ponder the much-larger CR-V. It is about a foot longer overall than the HR-V (179.4 inches vs. 169.1 for the “littler” Honda) yet only has about 11 cubic feet more total cargo capacity (70.9) and – remember – less second row legroom. But the more apt comparison is vs. same-sized (outside) rivals like the 500X and CX-3 and Chevy Tracker. They all come up short. It tops out at 32.1 cubic feet with the second row folded. Put another way, the Honda – same overall size – has almost twice the cargo capacity. The Mazda CX-3, meanwhile, only has 12.4 cubic feet of space behind its second row, due to the stylistically dramatic nose-long (and short-tail) design of the thing – which looks great but dramatically compromises the interior space. 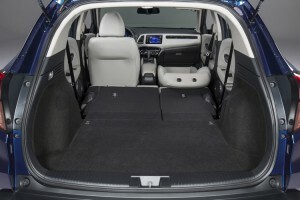 The Chevy Trax splits the difference, with 18.7 cubic feet behind the second row and 48.4 with them folded flat. Its not just the raw numbers, either. The available space inside the HR-V is further maximized by clever features such as a folding-flat (well, almost) front seat, which makes it possible to take a surfboard with the rear liftgate closed. Or, a mountain bike sideways (in the second row) courtesy of the fold-up seat bottoms. Honda adapted design elements previously seen in the…er, Element.. and the aptly-named Fit (which is a neat vehicle in its own right that you might want to cross-shop if you don’t need or want AWD). This car is not as cheerful on the inside as the Fiat or the Mazda. You won’t find body-colored trim plates, as in the Fiat. Or silly – but fun – features such as ambient mood lighting that dances to the beat of whatever song you’re listening to on the stereo. 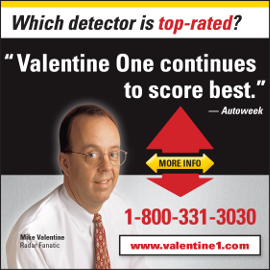 A frigid-sounding woman’s voice admonishes you to “buckle up” vs. a much more perky-sounding beep-bop-beep in the Fiat. The AC/heater and infotainment systems are controlled by flat-screen touchscreen displays (five or seven inches, depending on trim) that are functionally hard to fault but which have the tactile appeal of a microwave oven’s keypad. 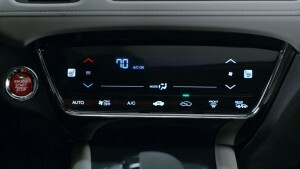 On the other hand, I like the straightforward (analog, not digitally-rendered) main gauge cluster and smart detail features such as the secondary controls for the audio system (especially the volume control) on the steering wheel, and the up and down and forward and back adjustability of the steering column. This is a very non-fussy, quiet and comfortable car to drive – and ultimately, that matters more than a “happy” layout. 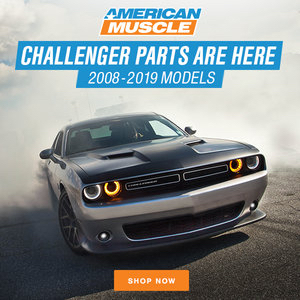 It’s also generously equipped, even the base LX trim – which includes the tilt/telescoping steering wheel, 17 inch (not 16 inch) wheels and tires, the 5 inch flatscreen with Bluetooth connectivity and AC, power windows, locks and cruise control. EX trims get upgraded to a larger (7 inch) LCD and get three more speakers (seven vs. the standard four) and an additional USB port, plus heated front seats. The EX-L Navi adds (surprise) GPS navigation, leather seating, high-definition radio and roof rails. First, I am not a fan of the “split glass” (Euro-style) door mirrors. They give me vertigo. 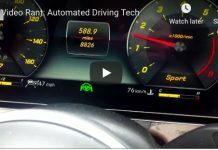 Several car companies (Ford is another) are installing these things – as standard equipment – on their new cars. Basically, you have the normal mirror and a wide angle mirror, like RVs have. In the Honda, they are mounted side by side, in a single sheet, with just a thin line separating the two sections. When you glance at them, your eyes (well, my eyes) have to try to adjust to these two differing perspectives – and it can be confusing as well as slightly nauseating. They should be be optional – or designed differently. 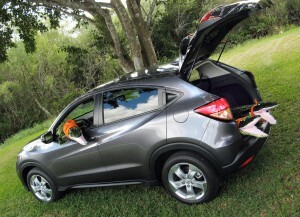 Second, the HR-V has plenty of cargo space, but space for “incidentals” is lacking. 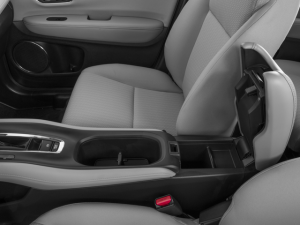 The center console arches upward like the back of a porpoise and looks marvelous (and feels good as a place to rest your arm) but the main storage compartment is preposterously small and located too far to the rear. 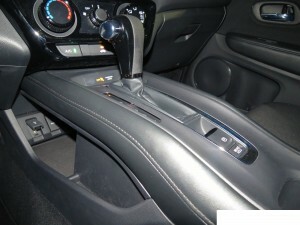 On either side of the center console, there are cutouts for putting things but they tree more stylish than functional. 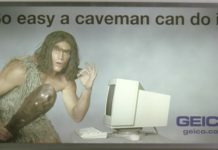 The USB plug and 12V power point are down under – and far forward. Luckily, the HR-V has plenty of room elsewhere. Final observation – and praise – for the HR-V: It is a smoking good deal. You can pick up an AWD-equipped LX for $21,165 that has more back seat room, almost as much cargo room – and gets better gas mileage than the $23,445 to start FWD CR-V. The AWD-equipped HR-V LX is also priced $3,035 less than the least expensive AWD-equipped version of the cute-but-not-cheap Fiat 500X ($24,200). The Chevy Trax and Mazda CX-3 are priced more competitively, but they are lacking in critical areas such as back seat (and cargo) room and (Trax) fun-to-drive-ness. 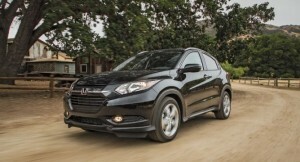 Honda’s biggest worry here is that the HR-V is likely to cannibalize sales from the CR-V. But I suppose the money ends up going to the same place. If you value independent media, please support independent media. We depend on you to keep the wheels turning! Previous articleBuy Gold? Buy A Used Car Instead! Next articleHow Do You Say “Crony Capitalist” in Spanish? Test drove one, hated it. Also looks smaller in real life than in photos. “HIV” … holy crap! I wish I’d thought of that! I had a 1st generation CR-V with a five-speed manual and 4WD, and it was amazing. Especially on snow & ice because I could feather the clutch to control slippage. It also let me rev the engine as much as I needed, to counteract Honda’s traditional lack of torque for city driving. Honda really needs to offer this combo in the HR-V.
People who down size to the smaller accommodations often complain about the lack of useable space. 60 cubic feet sounds big until you try to put a 60 cubic foot box in there and it won’t fit thru any of the openings. Same with that roomy back seat, the baggage doesn’t quite fit behind a full passenger load. It’s like that 9 speed automatic with 4 overdrive gears, lots of innovation that is mostly useless in the real world. And four wheel drive on everything. C C, I agree. I was looking at the rear of a new Suburban yesterday. I can recall there were pallets of stuff you could stick in the old ones and move to the back of the front seat and stick in another. Those days are over. Utility, don’t make them laugh. It’s being the same as the other guy that matters now. How many companies competed with a Suburban……nada. Ford briefly tried but the Suburban was more friendly and more reliable. I can remember 20 years ago in this part of the world Suburbans were the chicken in the pot, everybody had one…..or two. They’re still highly prized no matte what their age. I know a guy who buys them and parts bad ones into good ones, all 4WD for those everything duties like fishing trips and hunting, camping. 350’s in every one, like a bunch of Energizer Bunnies. ” How many companies competed with a Suburban”? Well, there used to be the International Travelall, IIRC. But those days are long gone. Popular with those who have given up on the Suburban. I got my Suburban for free but it has been far more trouble (both time & money) to keep running over the last 5 years than any of my other half-dozen vehicles, even counting the old 500SL. I see the HR-V as a good option for city and suburban folk with limited budgets for buying and filling ’em up, with AWD for inclement weather and the occasional camping trip. Suburban is an orange to this apple. It’s a car that grows on you. It’s bland to look at but it’s very well put-together; feels like a quality piece of work. It’s gotta be a vast improvement over the useless fastback hatchback Crosstour, which I’m guessing the HRV is slated to replace. Function trumps form. What’s ironic is that Fiat’s 500X, which I would never buy, is so nice looking. Conversely, this well engineered, presumably quite reliable HR-V, is quite homely. Looks worse in the metal than the pics here might suggest. It’s not so ugly that I’d refuse to ever be seen in it. But it will significantly diminish pride of ownership. 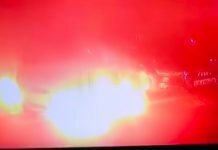 Another irony is that early TV commercial for this car included brief clips of a great looking CRX, as if to infer a common lineage. The only common lineage between these two is a Honda badge and four wheels. The HR-V has more in common with the Ridgeline. It’s definitely bland… but disfigured? Not as bad as the Ridgeline. But it’s a trait they have in common. Honda works the bland part of the spectrum, almost exclusively. From the boringly bland, to the tastefully bland. This is one of the few times they have strayed into the unpleasantly bland. Granted, there is only so much you can do with a space efficient sub-compact CUV form factor. In their effort to be distinctive, they took a wrong turn.